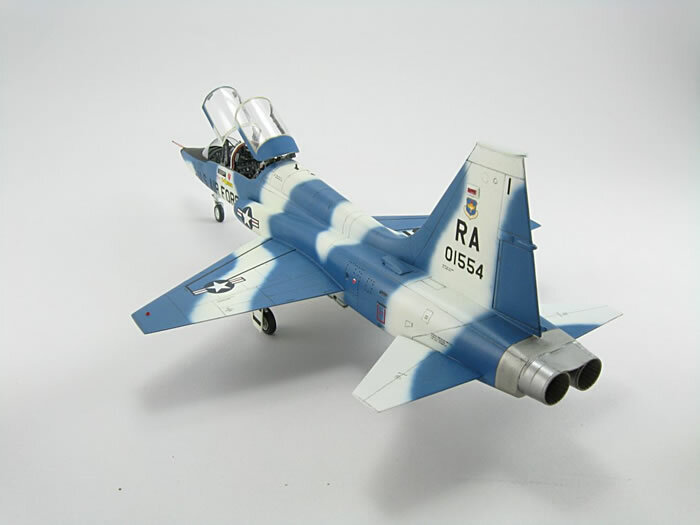 This is my Sword 1/48 scale T-38 Talon. 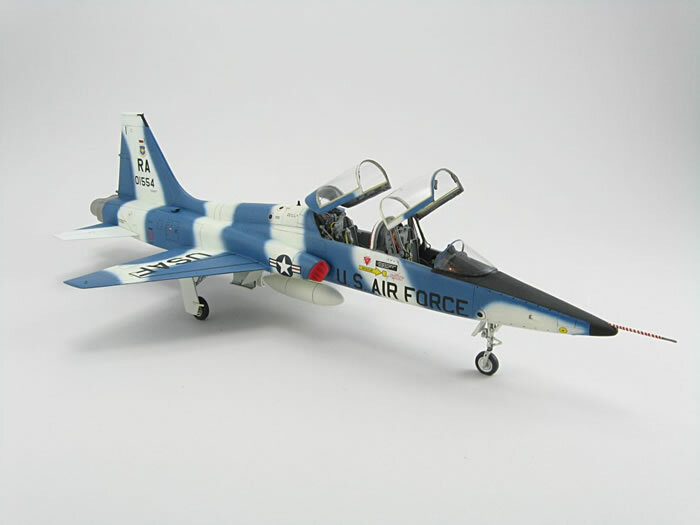 The model depicts one that flew from Randolph Field in the United States. My model was built pretty much out-of-the-box, with the exceptions of added detail in the cockpit, home-made intake covers, plus vacu-formed canopies and windshield. I had a color photo of the aircraft and had to mix up my own shade of blue to match the photos using Testor's Model Master enamel. Alclad II shades were used for the exhausts and Testor's White enamel (small square bottles) was used for the base coat. Overall, this is a very nice kit. 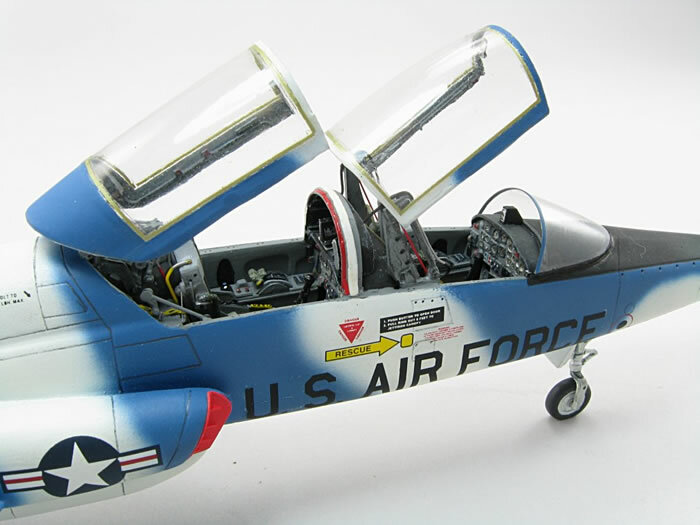 A full build article will appear in an future issue of AeroSpace Modeler Magazine.